You probably remember clubs growing up as exclusive cliques into which you were only allowed if you were one of the popular kids. Perhaps you remember clubs in school as being subject related. 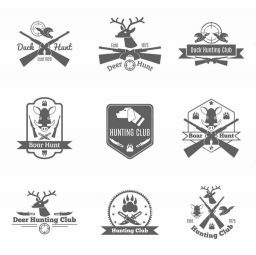 While deer hunting clubs are geared toward bringing together individuals with similar interests who have a lot in common, you’ll find neither the complete exclusivity nor the direct single vision of either of these stereotypical club interfacing. In deer hunting clubs, you will have hunting partners who share your interests and with whom you can make plans. In most cases, you’ll rarely find enough family members or even close friends interested in hunting to share a lodge at a reasonable expense. By joining clubs, you will find others with whom you can schedule hunting excursions and enjoy your time in the woods and manage to cut the cost of leasing hunting locations. Other aspects of b are important, as well. Aside from creating a full team of hunters to safely and effectively populate a hunting ground, you’ll also find that new information regarding hunting regulations and needs filters first through clubs, especially since you will regularly find members of parks and wildlife associations that enroll in memberships. By being a member of one of these clubs, you’ll be able to receive important information regarding changes in policies, open season dates, and more that others would hear about much later from a secondary source, such as a published article. Often, members of deer hunting clubs who frequent particular hunting grounds will receive a membership discount. For example, if you and your friends from the club consistently hunt whitetail on a deer farm or preserve in south Texas, the owner may begin to offer your group a lower lease price on hunting property, as long as you guarantee a certain number of days spent on each trip and schedule a yearly trip with them in advance. On top of this, you can always guarantee the ability to split the cost a certain number of ways so that you don’t end up with the brunt of the bill. Best of all, being a member of one of the many clubs across the country allows you to share your experiences with others and take away experiences and knowledge that they share. You’ll be able to discuss various techniques employed, weapons used, new equipment available, and new hunting grounds that have been discovered. You’ll never have to worry that your family doesn’t want to hear about killing Bambi again you’ll always have someone who understands the thrill of the hunt and is appreciative of any knowledge you have to share in deer hunting clubs.